When the Copyright and Rights in Performances (Quotation and Parody) Regulations 20141 come into effect on 1 June 2014, the UK will become one of the first countries in the EEA explicitly to legalise "fair dealing" with a copyright work for the purpose of "caricature, parody or pastiche". Searching for the term "Downfall parody" on YouTube returns over 141,000 results. Austin Power and GalaxyQuest -- parodies of James Bond and Star Trek respectively -- were massive commercial successes in their own right. Alice in Wonderland has long outlasted the boring and worthy poems such as "How Doth the Busy Little Bee" which it parodies. Parody is an essential human communication tool. It can subvert not merely the original work on which the parody is based, but the attitudes behind it, not necessarily for comic effect. Palin and Jones' Ripping Yarnssent up the Boys Own Paper tradition of gung-ho imperialism, but also exposed its underpinnings of racism, sexism, snobbery and sexual repression within 20th century Britain. Its legal status (and that of related forms such as caricature and pastiche) has, however, been less certain. A report commissioned by the Intellectual Property Office in January 20132 shows that English courts had been relatively relaxed about parody until about 1960, taking the view that parodies rarely took "a substantial part" of the underlying work, and so were unlikely to infringe copyright at all. Later cases, particularly where parodies were used in advertising, tended to take a somewhat harder line, leaving the position of parodies in limbo. not prejudice the central objective of copyright, namely the provision of incentives to creators. However, in legislating to relax the strict application of copyright law, Parliament is forced to work within the limits of European law, particularly the permitted exceptions set out in the Infosoc Directive of 20013. When the Copyright and Rights in Performances (Quotation and Parody) Regulations 20144 come into effect on 1 June 2014, the UK will become one of the first countries in the EEA explicitly to legalise "fair dealing" with a copyright work for the purpose of "caricature, parody or pastiche". This should have a significant impact upon user-generated made content available online, in particular fanfiction and other fanworks. Although fanfiction goes back arguably into prehistory (there are strong arguments that The Aeneid is Iliad fanfiction), it has come into recent prominence because of the sheer ease of publishing and sharing fanworks via the internet. Fanfiction archives, housing works created by people inspired by books, anime, films, TV show, musicians or sports, host millions of works, with tens of thousands added weekly. Other fanworks, such as videos, art or podcasts, are almost equally popular. Much fan creativity falls into the "parody, caricature or pastiche" class. A significant additional motive for creating fanworks is that of criticism or review, which are already protected forms of expression in copyright law. Accordingly, from 1 June onwards it should be possible to say that the majority of fanworks are legal in the UK. Issues which will arise will come down to definitions; specifically what "fair dealing" means. Crucially, it does not exclude publications motivated by profit altogether, though works which take unfair advantage of the original or which affect the original's commercial viability are less likely to pass the test. Fair dealing's limits may be tested on issues such as sexually explicit material (a popular topic of fanfic) and also on differences between the political stance of an underlying work's author and those of parody creators. However, in principle the new regulation is fair, balanced and wholly welcome -- a rare statement indeed in the field of law reform. 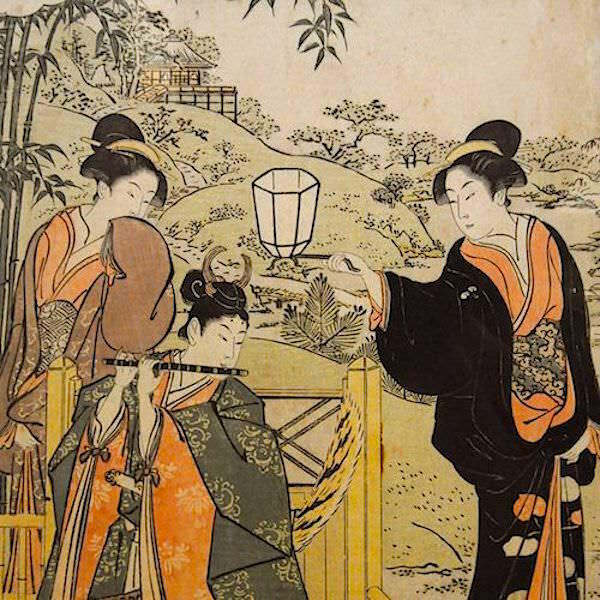 The main image used for this article is: 'Parody of Lady Joruri and Ushiwakamaru - part of a triptych by Torii Kiyonaga (1752-1815)' and was used under the terms detailed at the above link on the date this article was first published.